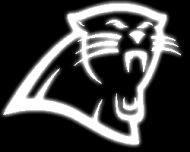 This is the result of mixing PF and Rc’s. 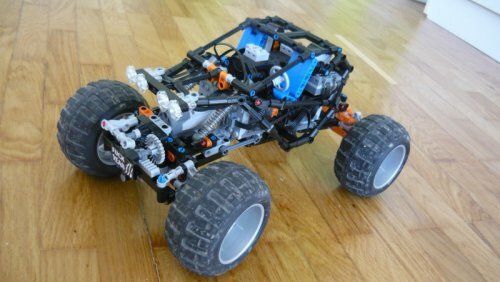 This is by far the fastest, most hyperactive and craziest offroader i built. 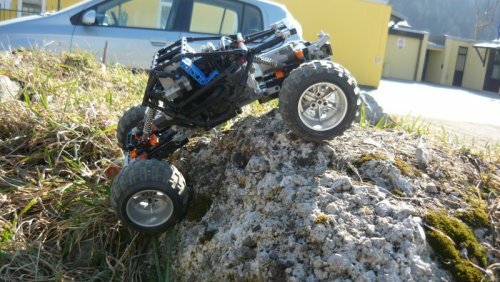 The power of 2 RC motors combined with the lightness of LiPo battery boxes and unimog’s suspensin parts results in a truck that weighs arround 800 grams, yet has the power/weight ratio of over 4x than anything before. 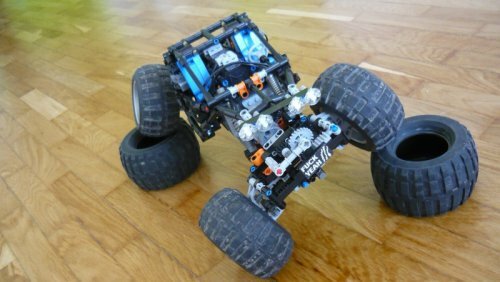 Gear ratio is only 1:9, which makes it by far the fastest crawler ever! To solve the problem with 8297’s wheel slipping on rims, I decided to use the wider power puller rims. This did result in the truck being a bit wider than 25 studs by a stud. 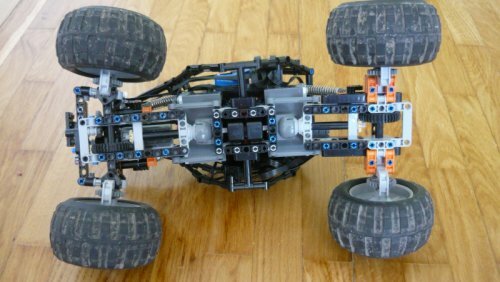 Suspension components and portal axles are from the unimog set (thanks to Dluders) to keep everything simple and light. Using my traditional portal hubs wouldnt work with these wide wheels. There is also an LDD file available without the unimog parts and the cab (too complex shape for LDD).